A 30-year-old man has been banned from East Grinstead for two years after a string of offences and anti-social behaviour including a theft from a tip jar, police have said. 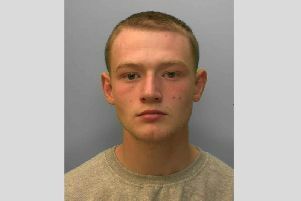 Callum Vincent Parker, from Boulthurst Way in Oxted, Surrey, was arrested on Thursday May 14 following a theft from a staff tip jar in Cafe Nero, High Street, East Grinstead, on May 7. Parker was subsequently charged and pleaded guilty to the offence at the South East Surrey Magistrates’ Court in Redhill on Friday May 15. He was also charged and pleaded guilty to possession of cannabis. Sergeant Graeme Prentice applied for a Criminal Behaviour Order under the Anti-social behaviour, crime and policing act 2014 which would prohibit Parker from entering East Grinstead town centre and surrounding area for a period of two years. Parker pleaded guilty and accepted the order which came into effect on Friday May 15.